I recently tried one of the It's Skin Sheet Masks and loved it, so I was thrilled when they sent me another product, the It's Skin Power 10 Formula VB Effector Sebum Control. 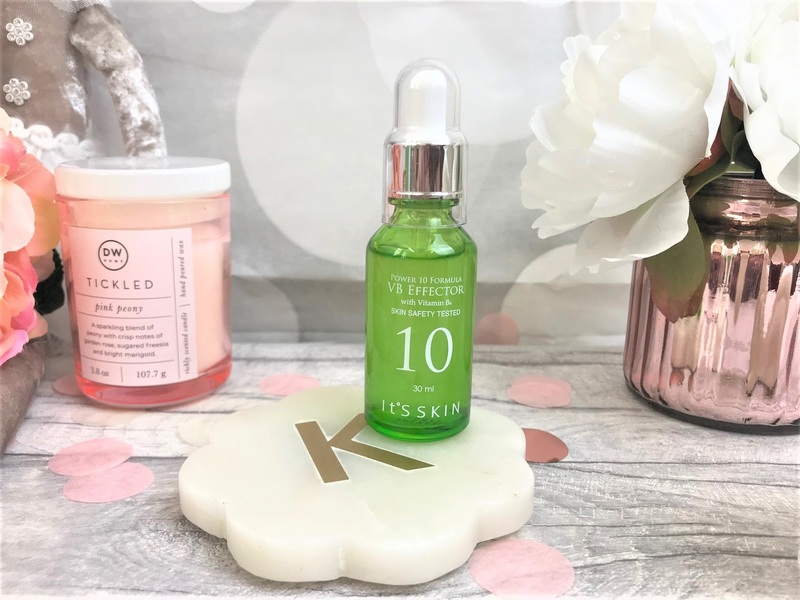 It's Skin have a variety of serums which focus on different skin types and problems, and because I have been getting a very oily T-Zone, this seemed the perfect serum for me. 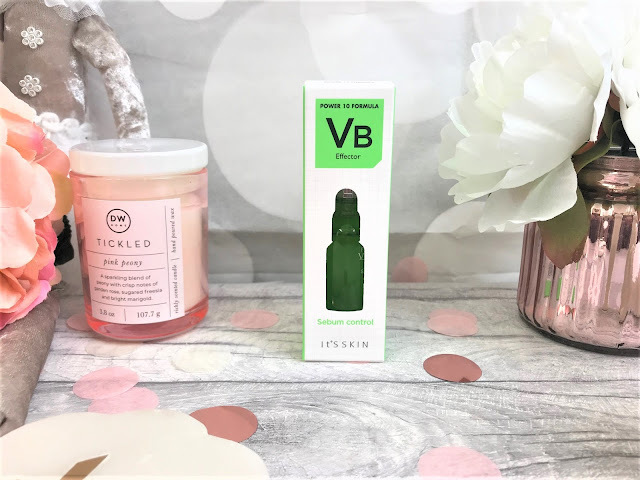 This is a lightweight, oil-free serum which controls sebum secretion with Vitamin B6 which is know for treating skin conditions such as acne, restoring the skin's natural moisture balance, hydrating and softening the skin, and prepping the skin for the next step of your skincare routine. It is suitable for even sensitive skin, particularly oily and acne-prone skin. After cleansing and toning as normal, I applied the Serum both morning and night before my moisturiser. The Serum comes in a green glass bottle which a pipette applicator to control the amount of serum you dispense. I found that once applied to my skin, it absorbed instantly, which I love as I hate waiting for things to dry, especially in a morning. As this is an oil-free formula, it doesn't leave any residue or greasy feeling on the skin and I found this to also keep my skin hydrated throughout the day. It does have a slight scent to it, although certainly nothing overly strong or offensive, and didn't cause any irritability to my sensitive skin. Since using the Sebum Control, I have noticed that my skin looks and feels clearer and the oiliness on my T-Zone has definitely reduced. I only tend to concentrate using this on my T-Zone, but if you suffer from breakouts, I would definitely recommend using this all over the face. The It's Skin Power 10 Formula VB Effector Sebum Control costs £12.00 for 30ml, which is great value for a serum. You can find it online at ASOS, Feel Unique or Beauty Mart.